In Sports: Tiger Tied For Second, Miami Ties Up NBA Finals : The Two-Way Woods was in good position after Day 1 of the Open. Meanwhile, LeBron James and the Heat held off Kevin Durant and the Thunder. Tiger Woods reacts to a missed putt on the 13th hole on the first day of the US Open at San Francisco's Olympic Club. 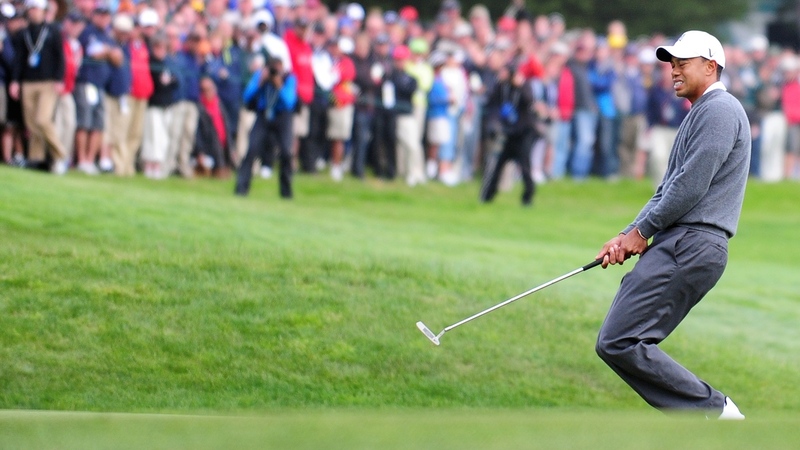 -- Tiger Woods Tied For Second At U.S. Open; Michael Thompson Leads By Three Strokes. Golf's Open is being played at San Francisco's Olympic Club. ESPN's broadcast resumes at 9 a.m. ET. -- Miami Wins Game Two Of The NBA Finals By Score Of 100-96; Series With Thunder Tied At 1-1. The Heat and Thunder play next on Sunday at 8 p.m. ET. ABC-TV is the broadcaster. 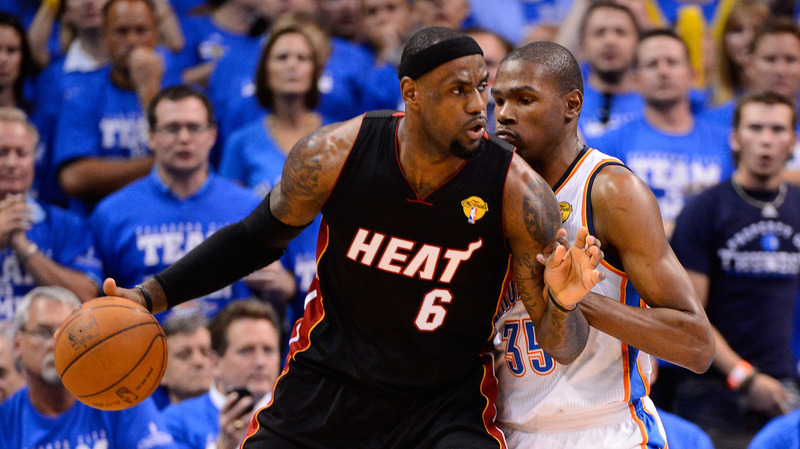 LeBron James of the Miami Heat and Kevin Durant of the Thunder during Thursday's game in Oklahoma City.